A little over one year ago on June 30, 2014, I landed in Port-au-Prince, Haiti for the first time in my life. The heat and dust swept over me as a rush of emotions threatened to shake my resolve. Could I really leave my friends, family and everyday American comforts…for this?! I stood on the balcony of the guesthouse marveling at the picturesque mountains, listening to the language and laughter of the neighbors. I’d be lying if I said I wasn’t nervous, but among the nerves was a peace. A reassurance. Affirmation that this, with time, could become home. Now I look back on that day with gratitude. Thankful that I stayed the course and appreciative of the lessons, good and bad, that came with saying “yes” to this adventure. Before this year began, the extent of my knowledge about Haiti was that it is cited as being the poorest country in the Western hemisphere. 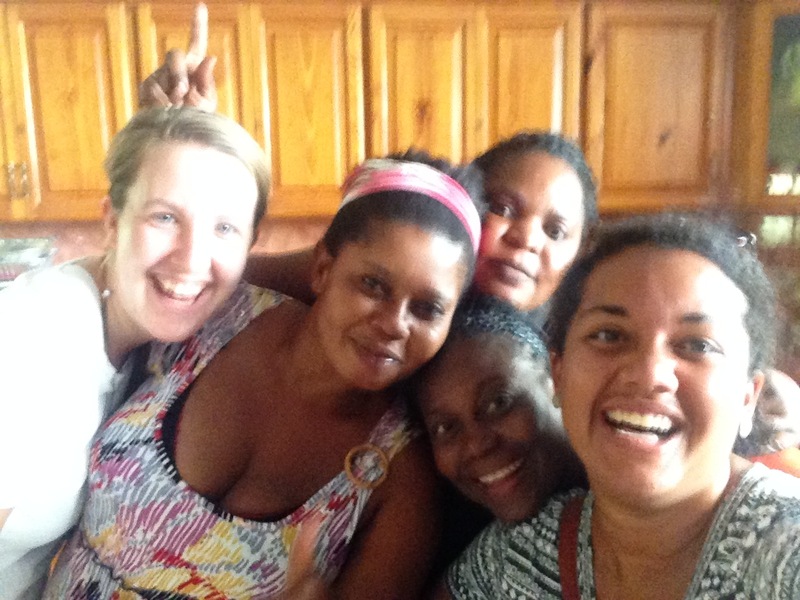 As I prepare to leave Haiti, my hope is that I never have to refer to it like that again. For all of its faults, Haiti is a resilient, beautiful and proud country. Haitians are more than just “poor people” struck by tragedy; they’re innovative, hardworking, and joyful. They have taught me numerous lessons about life, and about myself, here are five that I thought worthy of sharing with you. 1. People, regardless of age, gender, ethnicity, etc. are all pretty much the same. One of the most difficult things about traveling and getting to know new people is that I realize the depth of my own judgmental nature. It doesn’t even have to be international travel, just going to new areas in the good ‘ole US of A brings out the stereotypes and assumptions I’ve unwittingly held with no valid reason or necessity. 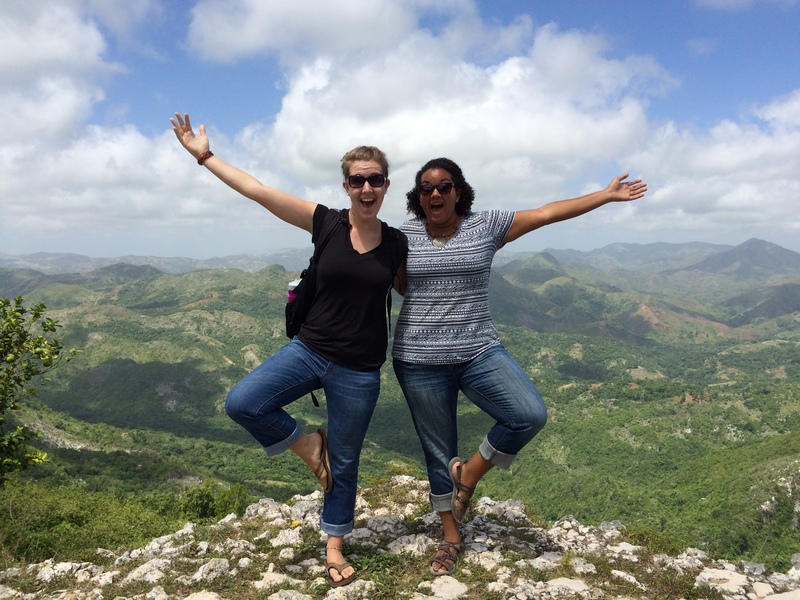 Haiti blew my preconceived notions out of the water. Years ago, I read a book exploring the Hebrew word Yada. It’s the word used in the Bible for “know”or “knowledge”, except that our translation doesn’t do it justice. The word Yada actually means “to know, to be known and to be deeply respected.” Yada is the kind of love we’re all looking for. Strip us of our race, gender, desires, religions, iPhones, bank accounts blah blah blah, all we want is for someone to know us, to love us and respect us. That is universal. I hope throughout my life as I travel more and learn about the world, my perceptions will be continue to be challenged. Knowing that each experience will help me to see and accept people and places for who they are, not for what I assume them to be. Thank you, Haiti, for teaching me understanding. These goofballs are a frequent reminder that laughter is a universal language. 2. Bad things will happen…move on. We have a running list of all the crazy, ridiculous, difficult, obnoxious things that have happened this year. We joke that it is the list our parents and boss never need to know about. Everybody knows that life is hard and of course bad stuff happens. It’s impossible to live in a utopian bubble, hard as some may try. So this year I’ve learned that the bad crap is unavoidable. The lows can be really low. People can be mean, accidents will happen, pain and heartache comes with the territory of loving people. The important part for me has been remembering that the bad things are temporary. The hurt may last awhile, but we have the option of dwelling on the bad thing or picking up the pieces and moving on. While I may be busy nursing my wounded feelings, time continues to march on, so I may as well sort through the hurt, bind up the wounds, and hop back in play, because there is no sense in wasting time on the bad when there is so much good stuff to dwell on. 3. Take deep breaths, get out of your own way, let people in. I am a selfish and needy person. Part of living at the guesthouse this year has meant that the place I call “home” is the place of employment for about 10 other people and is the place of respite for countless guests. That’s what I signed up for, it is one of the highlights of my time here…it’s also been one of the biggest challenges. I love people (most of the time), but I’m an introvert that is used to being able to be alone whenever I need it. Haiti doesn’t give much space for being alone. Even if I didn’t live in the guesthouse, Haitians are ALL ABOUT community. Boundaries? Not a thing. Privacy? Not a thing. Oversharing? HA! NOT a thing. My poor little introvert heart took a beating at the beginning, until I started to realize that maybe they’re on to something. I think the idea of community is done so much better in Haiti than in the US. We’ve become so guarded in the States that we limit ourselves and the depths of our relationships. We have learned to put our guard up so we don’t get hurt, but as a result, we thrive on “likes” and surface intimacy to try and fill the gap of being known. It’s fake and most of us know it. This year I’ve had to find balance. I still need my “me” time in order to get out of my head and to process the very real struggles that day-to-day life here throws in your face, but I’ve also learned to loosen up. To let the emotions in, or out, and to share the struggles. 4. Find the things you love. Have a reason to enjoy getting out of bed. A few months into the year, I realized how quick I was to criticize, complain or get frustrated. Life just got hard. The aforementioned “bad things” were piling up and it felt close to unbearable. So I decided I needed to figure out if there was anything I still enjoyed about being here. You know, find the positives in the pile of crap. So each night before bed I would make myself come up with at least 1 thing I was looking forward to about the next day. It could be big or small, just something. Some days it was morning coffee, or a day with no guests so I could sit out on the porch in silence, or TV/wine/chocolate night with M, or getting to drive, going out for coffee, having a beach day, face timing with a friend, writing a letter, etc. You get the idea. Point is, I’ve learned there is ALWAYS something to look forward to. The junk will always exist in life, so the question is: what are you gonna do about it? It’s a lot easier to be present and happy where you are when you remember that you actually like your life. Hiking the Citadel with M was definitely a reminder of the incredible experiences this year has afforded. 5. Money can put a bandaid on poverty, but hope can transform. This brings me to the final point Haiti taught me. You can kick a rock anywhere in Haiti and hit an NGO, aid organization, non-profit, etc. I believe that lots of good is being done. Many of these organizations have done their homework and exist here in Haiti to make a difference, help the people, empower the impoverished. However, I am not convinced all of those organization are doing it efficiently or with the support of local Haitians. Haiti has shown me the power of a resilient people. Haitians have been enslaved, colonized, and otherwise oppressed for centuries, and yet here they are. Still standing. This country needs partners, it needs long term investment, it needs direction, what it doesn’t need is more aid. It needs hope. I had the privilege this year of teaching an English class for Team Tassy. An organization I believe is doing really wonderful work for Haiti. They’re investing in hope. Getting to know the kids in the course was a highlight of my year in Haiti. They are hard-working, persistent, and inspiring. They would show up to each class and listen to me talk and run activities for close to 5 hours. WHAT?! I don’t even want to listen to me for that long. It was amazing. These kids are passionate about their goals and futures. 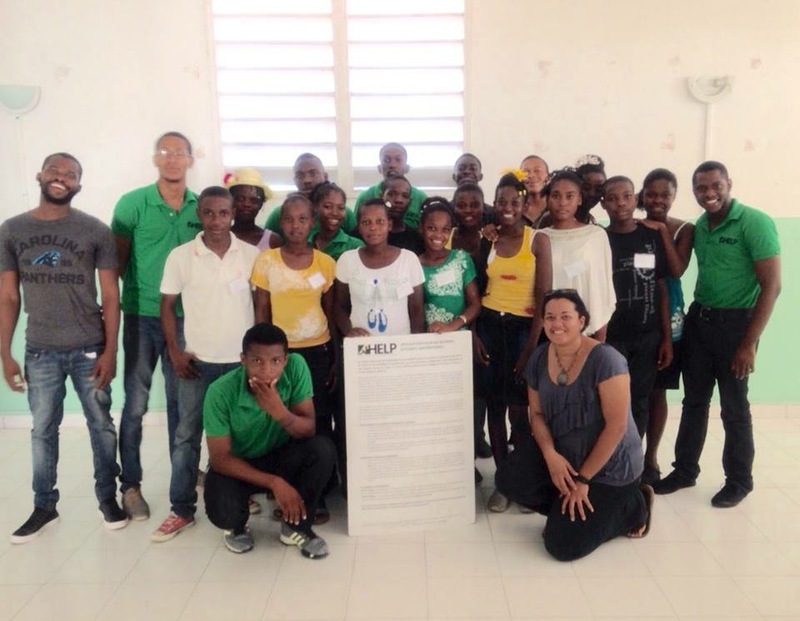 These kids are the future of Haiti, and I have seen that the future is bright. The Team Tassy kids with mentors from an organization called HELP which funds college level study for students who excel in school. I have Haiti and the Team Tassy students to thank for the courage and direction to take the next step in my career. In the Fall I’ll be heading to Newcastle University in the UK to study for a Masters degree International Development & Education. I could not be more excited to study under some of the leading minds in education for the under-developed world. Leaving Haiti in just a couple weeks will be difficult. These people and experiences have been life-changing, however I’m confident this is just a “see you later” to Haiti. I have a hard time saying goodbye to places I consider part of home.